Hmm... So, apparently it's possible to do it. * The custom node parses the script, generates "tokens" and then converts the script to Blueprint functions. 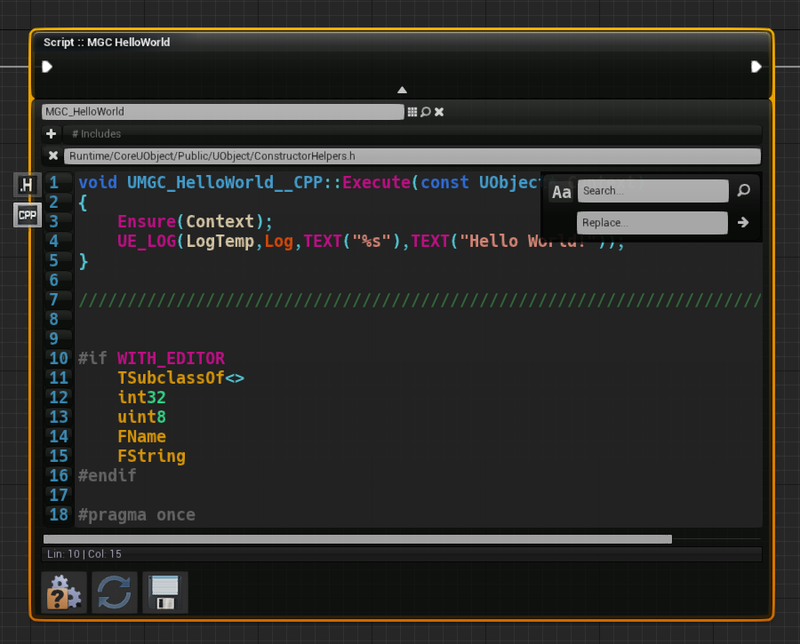 * Unreal do its thing as usual as if everything were made with nodes (in fact it doesnt even know the script exists). * So from there it runs as a normal blueprint function which can be nativized to C++ as well. * VMs... No additional Virtual Machines such as Python's running attached to the game. Script tested was "compiled" to auto generated blueprint functions. * A "real" version of this parser will require a database, maybe a big dummy UObject, mapping UFunctions to script keywords. I'm not even close from doing that lol. * Next step would be auto generation of Pins from variables declared within the script. This is a hell of a complex task to do without breaking the Blueprint Graph. 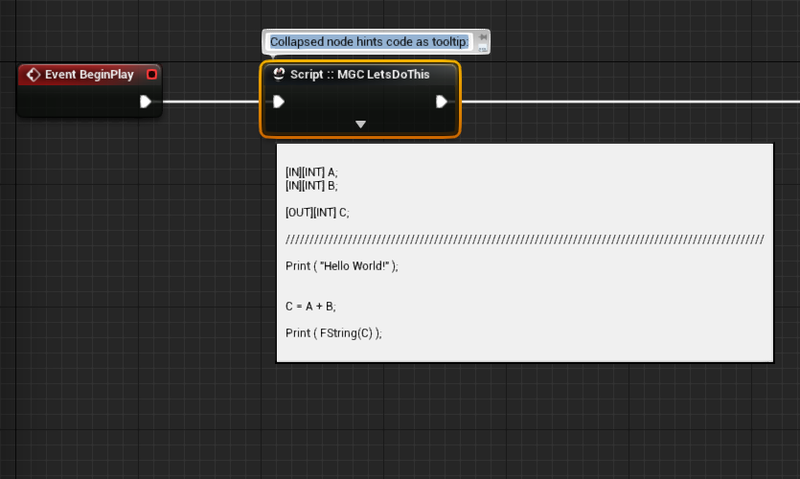 1 Script = 1 Blueprint Function. 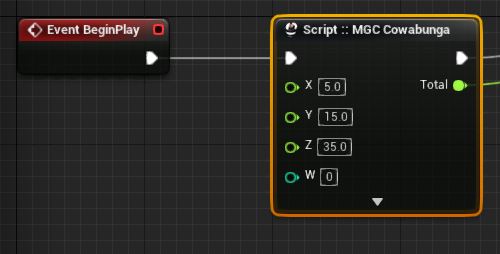 The "script" only exist in the Editor, so whatever you can do with a Blueprint Function equates to what you could do with this node. That includes calling UFunctions not exposed to Blueprint Graphs. 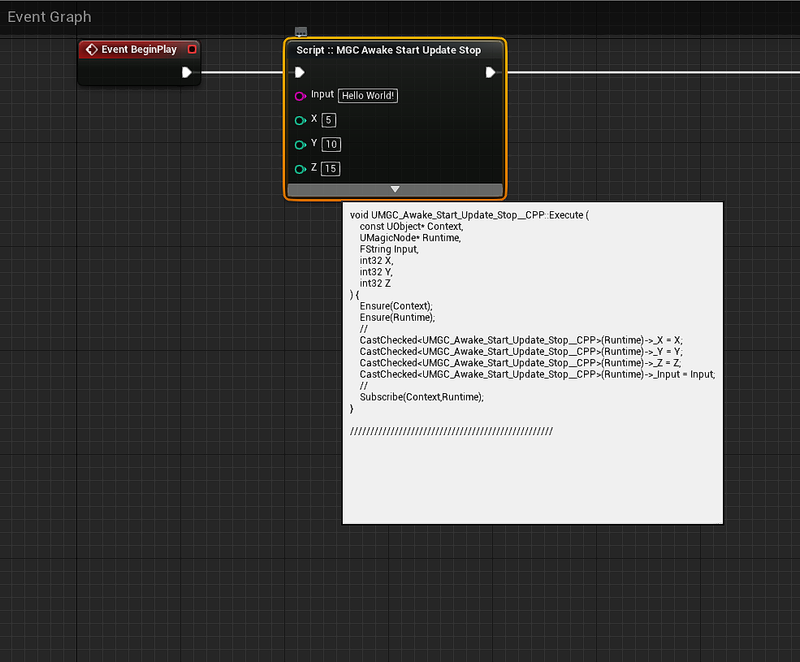 Unreal has a ton of UFunctions "hidden", not exposed, to Blueprint Graphs; this could be a way to access them easily. Also, the "benefit" I dig the most is the possibility of "writing nodes" faster than dragging pins wires around which is sometimes annoying for simple "for loops", array/set manipulations, etc... Typing words to do things like is simply faster than dragging wires around. But anyway, I don't have the human resources to effectively develop something "this big". A fully working scripting node would require a team working on it full-time, it's a lot of code to maintain. 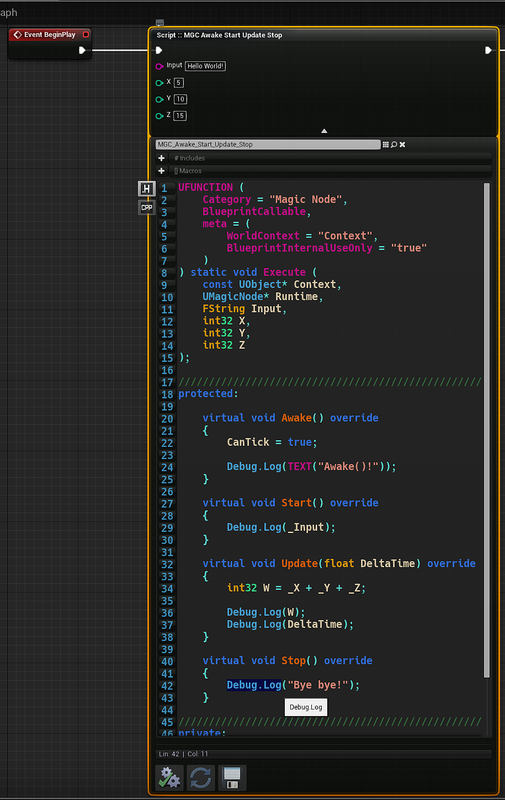 I will learn how to generate node pins extracted from the compiled scripts, after that I am probably done with this! Thanks for explanation. Calling non-exposed UFunctions is what I meant. And yes, there are times I wish I could write some scripts instead of playing with nodes. You have probably thought/tried this but you should check out math node to see how they did it. It is kind of similar on the outside at least. Well now that we know it can be done, we'll just ask Epic to implement it as a feature, surely they'll do it ... oh wait, we don't even have Quats in BPs by default . Yes I'm and will forever be salty about that. Anyways, thanks for your awesome contributions . What's not to like? It always seemed like a node like this was on the cards. Epic would've created something like this by now too, except for 'Forknite'. This is another mind blowing project Bruno similar to your Property Copier. Now, making use of Editor's "hot reload" feature, I'm writing C++ nodes from inside Blueprints and using those nodes to code their own source code... Blueception! * For some reason no matter what I do, default values are ignored. 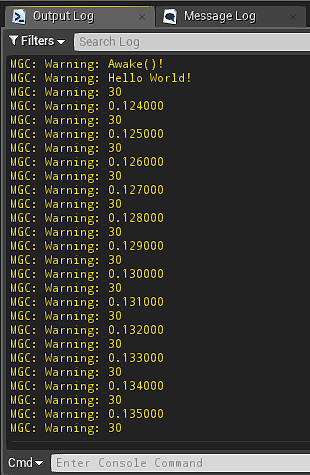 * Now because pins when hot reloaded, trying to refresh pointer to the runtime class, I get crash probably because it store the new class inside a new DLL. Last edited by BrUnO XaVIeR; 12-01-2018, 10:08 PM. How does it work with referencing Blueprint Variables? Code away using the variables declared in function body, when the node is executed by the Blueprint the value of variable in function body is whatever value you have wired to the generated pin. 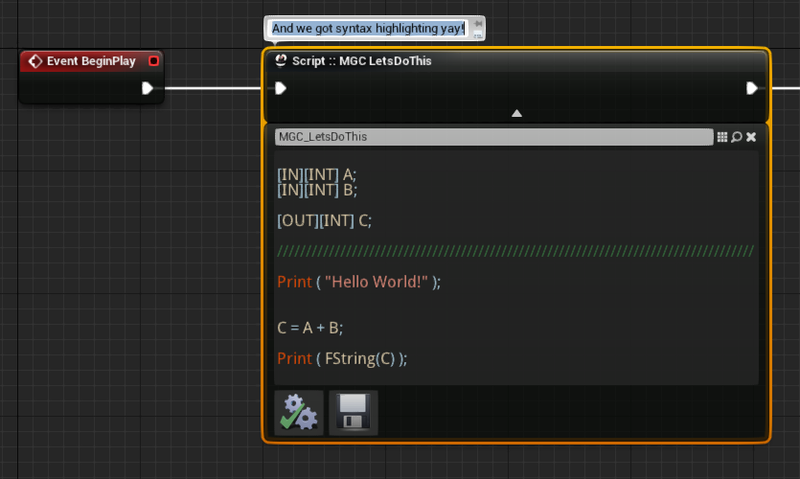 It will take the value of pins in Blueprint node and send to the C++ function written by you, automatically. What you doing is interesting, keep it up. Does it create static function btw? Last edited by Shadowriver; 12-12-2018, 02:04 AM. An UObject is created by the K2Node_ custom node then the K2 uses KismetCompiler utilities to copy the generated UFunction from that UObject, spawn that "node" (invisible) onto the Ubergraph, move it's own connections from generated pins into the spawned node, detach itself to not be called twice and then let the Blueprint Graph do its job executing the "generated" node. Later the UObject is GCed if there's no more K2Node_ referencing him anymore (Kismet Compiler has no use to it anymore so it's garbage collected). It's the same thing all Blueprint Nodes behind the scenes in runtime.. I'm building my own IntelliSense tech.